It’s been two months since I’ve last posted to Happy Disco. What has pulled me out of my unannounced and frankly unplanned blog hiatus? Why, possibly the biggest thing to impact foreign fans of Japanese music, of course! Let me take a step back. Recently, YouTube announced YouTube Red, a new subscription service where, for $10 a month, users can watch YouTube free of ads (plus some additional features). However, the way it has affected foreign Japanese music fans (as well as Korean music fans too) is the implementation. A lot of this is speculation, but right now YouTube is requiring its creators to sign off on this subscription service. This is essentially forcing creators to take it or leave it with YouTube Red, and causing quite a bit of disruption with creators. Let’s stress this again – YouTube Red being the culprit is still speculation – it hasn’t been confirmed yet. 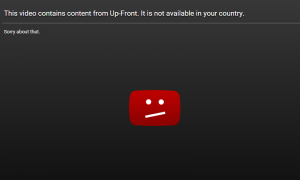 However, the fact that multiple Japanese music channels all got region-locked at essentially the exact same time that other Youtube channels began to be affected means that it’s probably pretty accurate speculation. Honestly, I don’t think YouTube Red is a terrible idea. The price is a bit steep – it’s more expensive than Netflix and Hulu Plus, which both offer much more long-form content. However, I could see myself paying maybe $3-5 a month to enjoy YouTube without ads – I often listen to Youtube videos in the background while I work, so being able to have a playlist of music without ads would be worth that much. However, this move is very divisive. I don’t think I’ve seen any posts that are unabashedly praising YouTube Red; at best, people are being cautiously optimistic. That said, while it’s not a popular move, it’s one that YouTube CAN do – they’re the main host of internet videos, and for most people there aren’t other alternatives. Sure there are other video hosting sites like Dailymotion or Vimeo, but those haven’t caught on in the way that YouTube has. I honestly don’t know how the Japanese music channels will respond to this. Before this, there wasn’t much of a downside to having your channel be completely open globally, even if the music group wasn’t actively looking for foreign fans (which is honestly most of the Japanese music industry). However, now this is actively making Japanese music channels accept YouTube Red, which means they have to actively accept foreign fans, in a way. I can imagine that Up-Front will want to do this for their artists; Hello!Project has put in multiple efforts to try and maintain its foreign fanbase, and I can’t see them giving it up just yet. However, I could also see the Japanese music industry collectively shrugging, thinking that they aren’t aiming for foreign fans anyway so it doesn’t really matter. The biggest impact I see in this is the foreign fanbase, specifically new fans. I found a lot of JPop groups through YouTube, and I consider it to be the biggest tool I utilize in my JPop fandom. While I am now at a point where I know my favorite groups well enough and spend money buying DVDs to not necessarily NEED YouTube (though I would still like to use it), I’m concerned that this will have a negative effect on newer fans. If someone is curious about Japanese music, they’ll probably turn to YouTube. 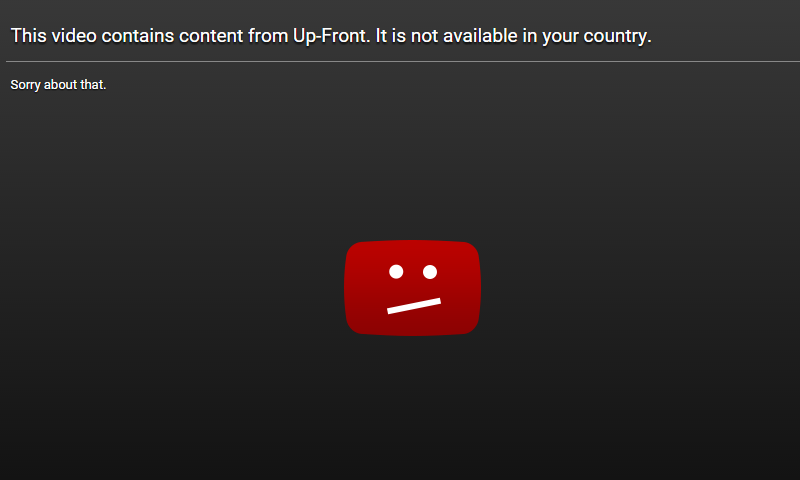 If they can’t access this music from YouTube, will they care enough to buy music or look to other streaming sites? I doubt it. Right now, there’s not a lot you can do. I’d personally suggest not subscribing to YouTube Red and urging friends and family to do the same. The Japanese music fan community is pretty small, but we absolutely don’t want YouTube to think this move is a success (I’d suggest avoiding YouTube altogether, but I’m sure most of us use YouTube too frequently for this to be a very viable option). I’d also try to make your voice heard if you can. Up-Front Promotion’s official English language page, Up-Front Link, is getting quite a few comments asking about this – I doubt it’s something that they can ignore. Other groups unfortunately don’t really have an official English language page, but if you have the opportunity to say something then do.